Posted by Kim May on May 16, 2018 under DB2 for Linux Unix Windows, DB2 for z/OS, DB2 Migrations, IBM DB2 Services, PostgreSQL, TFG Blog. IBM’s strategy is difficult to understand at first, but often makes eventual sense. There’s been a great deal of discussion recently about the future of Db2. Db2 on the mainframe has an established customer base consisting of some of the planet’s largest and busiest organizations. While many of these organizations are continuously searching for better, faster and/or cheaper technologies, the mainframe continues to deliver and justifies continued Db2 for z/OS investment. Db2 for LUW, on the other hand, has always been a technical leader, but expensive, and a support challenge. Never a market leader, Db2 for LUW has suffered in the marketplace from a lack of skilled DBA’s and Developers, and IBM’s inability to deliver affordable and consumable Db2 for LUW training has hampered DIY customer efforts to “build” DB2 support teams. For many years the snob appeal of great technology that only a few understand seemed the most promising approach. This, however, does not seem to have driven many customers to Db2 for LUW. So the IBM teams are taking some interesting new approaches to Db2 for LUW and their distributed data management tools. The “Flex Pricing” announced earlier this year enables customers to purchase solutions within 3 broad product groups (core databases, data governance and management tools and analytic solutions) and re-purpose the license entitlements within the product groups as their business needs change. This won’t excite anyone making an initial purchase but may translate into “found money” sometime down the road. It’s a great idea. If your organization is giving Postgres a look please let me know – I would love to introduce Joel and connect the dots to enable your organization to access IBM Support for Postgres. 2018 New Year’s Resolutions – Let’s Get Started! 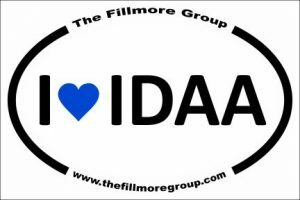 Posted by Kim May on January 4, 2018 under Authorized Training Partner, Baltimore Washington DB2 Users Group, DB2 Education, DB2 for z/OS, DB2 Migrations, Frank Fillmore, IDAA, Oracle, TFG Blog. Oracle to Db2 database migrations. Last year IBM offered discounted Db2 licenses to current Oracle customers – and when I say “discounted” I mean practically gave them away. Frank Fillmore and I delivered several competitive migration presentations and got lots of positive feedback from Oracle customers. Still, we didn’t see a lot of Db2 adoption from these folks and I’m sorry – for them and us. This is a head-scratcher, because I’m not sure where we are getting snagged, but we need to figure it out in 2018. IDAA/IIAS/HTAP vs. “edge systems”. Admittedly 2017 was a bit of a transition year for the IBM Db2 Analytics Accelerator (aka the IDAA) as IBM completely revamped the design, replacing the Netezza-bolted-to-a-mainframe with 2 Db2 BLU Acceleration-based options to deliver the Hybrid Transaction Analytic Processing (HTAP) capability. Meanwhile in 2017 analysts were predicting that edge systems are the future – sounding frighteningly like they did in the late 1990’s when the standalone data warehouse was the next big thing. It makes absolutely no sense to me to build out a completely new system, particularly on the periphery of an organization’s most secure system, to perform analytics when IBM has clearly demonstrated you can leave the data in place and perform both your OLTP and analytic processing in tandem. We need to continue to educate customers to ensure they understand the overall value – reducing complexity, reducing cost, and keeping data secure. The new BLU-based version has a new name: IBM Integrated Analytics System – IIAS. Supporting the Db2 eco-system. This is such a no-brainer but one that needs constant attention, effort and input to maintain. IBM formal classroom education offerings are minimal. Conferences – IBM and IDUG – are changing and it’s difficult to determine which is most appropriate to attend. Users groups (including the Balto/Washington Db2 Users Group) are struggling to provide our users with unbiased product information, education and resources. We aren’t giving up and hope the greater Db2 community continues to work to stay active and involved within the community and within our individual organizations. If we want to stay relevant we need to stay involved. Happy 2018! Off to work!